Google's expected move into in-game advertising has started, with the internet giant officially announcing a beta version of its AdSense for Games. 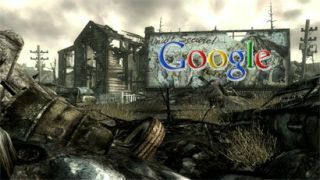 Video games is a growth market that Google believes is ripe for tapping, and the powerful business that it has built up on the internet is a perfect fit for unpopular but increasingly prevalent in-game adverts. Google will apparently concentrate mainly on casual and online games, but Edge reports that mainstream titles like Konami's Dance Dance Revolution will also receive Google powered ads – presumably for High School Musical merchandise and Tickle-me Elmos. It's certainly no surprise that Google is moving into in-game advertising – especially after its acquisition of AdScape Media for $23million in February in response to Microsoft's purchase of Massive – the trailblazer in in-game advertising. What is a surprise is that it has taken this long for Google to finally show their work. The company has been running an early beta of AdScape for Games since early 2008, but has finally opened it up for the developers that were not included in the original testing. Although the gaming adverts market is currently only worth around $1billion, the arrival of Google is likely to bring a massive boost to the sector. Of course, for gamers, the fact that developers and games companies will have more money to build great games could be somewhat tempered by the appearance of huge Coke billboards midway through their exploration of an Inca temple, or one of their team members voice-chatting about the benefits of Viagra.